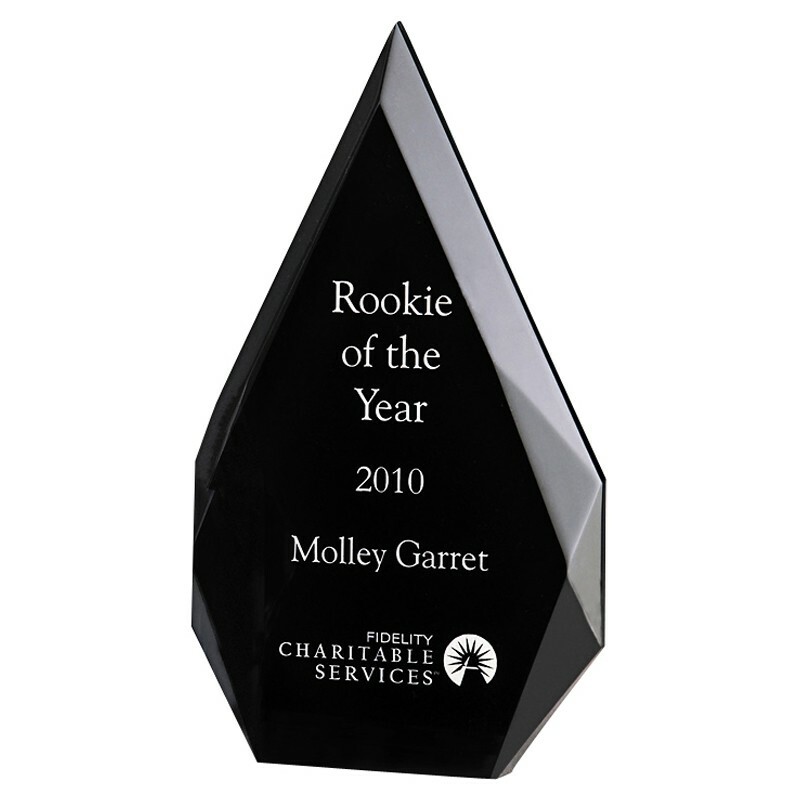 Make a statement at your next corporate award ceremony by awarding a Pointed Black Acrylic Trophy. Made of dramatic black lucite, the free engraving is high contrast in white letters. In your choice of 3 sizes.